This is a great combination of menswear inspired houndstooth-patterned accessories (at first glance I thought the pattern on the hat and scarf was a check, it is a houndstooth) with the checked pants. 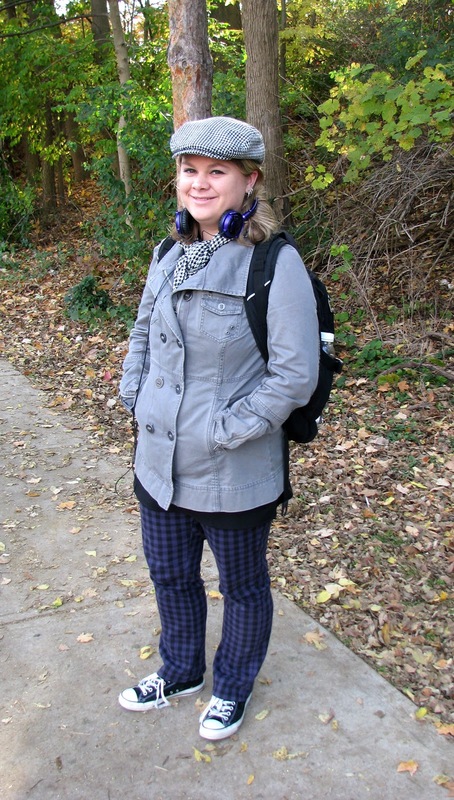 Add purple headphones and classic converse, and you've got eye-catching style with no sacrifice of warmth or comfort. This is one of my favourite looks I've seen on campus so far this year. I love this look on her! She's a great example of how you can combine menswear and street wear in one youthful stroke.